Are you seeking a full or part time DC Mother's Helper? 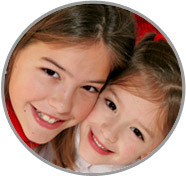 ABC Nanny Source can help in your search today! A DC Mother’s Helper like Rachel can help new moms to handle the stress of caring for a newborn, and does so with a smile! "I am a very passionate and extremely loving individual. It is my reward to make a difference in a child’s life. If I was asked to describe in one sentence the reason I have chosen to be in the Nanny profession over any other it would have to be because I feel that taking care of children in a home environment as a nanny is the most nurturing way to provide care for a child. It allows the children to feel more secure in familiar surroundings. I have been serving in some form of childcare experience for over 20 years and can honestly say I love what I do! I feel the children are little angels given to us to love, care and cherish. My goal as a DC Mother’s Helper is to find a family that I could became a part of and assist in every way possible in regards to the upbringing of the children and to see them grow. I am willing to do housekeeping that includes some light housekeeping, making sure that the children’s rooms are kept tidy, cooking meals for the family, driving the children to their activities, grocery shopping, and doing the children’s laundry. If I had to describe myself in five adjectives I would say that I am honest, respectful, loving, energetic, and organized. Activities that I would like to incorporate in the daily plan for the family I care for would include educational activities, going to library, taking the children to the park, and teaching the children good nutritional habits. If asked to describe the perfect family seeking a Nanny like me I would hope they would share some of the same qualities and beliefs that I have in caring for children." "Rachel has taken care of both my children since they were very young. She is very detail-oriented. Rachel is personable as well as understanding to the parents needs and has a very open attitude. She is organized; whenever I picked up the children the play room was impeccably clean, even when the children were playing it was organized, not like in other daycares where you can't even walk through the room. Rachel has excellent communication skills; she had a daily diary for every individual child, it contained what each child ate, playing patterns, if they were feeling ill, if they took a nap, basically everything that you can think of. I wish every child care service would use a daily diary; this helps me understand how the day went. It was especially important to me since my children at the time were very young and not able to communicate with us. She absolutely thinks outside the box. Her creativity, her compassion for others, and her approachable personality made it easy for my husband and me to work with her. Working in hospitality, customer care is the quintessential ideal in running a business. Rachel has all the qualities and more, her attention to detail and communication with individuals is unbelievable. She takes care of everyone around her; people tend to draw towards her which again is what makes her a fantastic childcare provider." "Rachel always went above and beyond her duties as a DC Mother’s Helper. She is very organized, creative, caring, and qualified. My child was always happy while in her care. She provided care for my child as if she were her own. Rachel has a natural way with children that you don’t see too often. She not only cared for my daughter, she taught her many things including some Spanish. I never worried when my daughter was with her. I have yet to find another person like her. She is a blessing. I can wholeheartedly recommend her to any family!" "I have known Rachel for three years. We work together at the same daycare center. Since I met Rachel, I have known her to be a loving and responsible person who is committed to helping others. Rachel's best qualities are her kindness, her attention to detail, and her initiative. Rachel genuinely cares about the children and families that she works with through our program and demonstrates this in all of her interactions. She is very detail-oriented and committed to completing her tasks properly and in a timely fashion. Rachel is also an "idea person.” She is very creative and takes the initiative to solve problems and create functional systems within our organization. Often Rachel has completed a task before others have noticed that it needed to be done. Rachel's position within the organization requires her to adapt to new situations and work well with a diverse collection of individuals. She does this with ease each day. In any given week she may be asked to take on the role of a developmental teacher, an associate teacher, or an administrative assistant. These roles require different skills and mindsets and Rachel tackles them all seamlessly. Rachel's positive attitude and willingness to both teach and learn help to create a warm and effective teaching environment in our classrooms. She has touched the lives of all who work with her and would be an asset to any family." "Rachel has proven to be an individual of great character and integrity throughout the more than 11 years that I have known her. Rachel is a genuinely caring and nurturing person. I witnessed this firsthand when Rachel worked as my teacher's assist for more than 3 years. Together we planned, implemented, and carried out the most wonderful plans for our Pre-Kindergarten class. As working with children is often unpredictable, we laughed, we improvised and we continued to give 100% of our efforts to the children in our care each and every day. We taught them so many of life's necessary lessons over the years. We also taught them how to "use their voice" so as to be heard. Use their hands so as to "produce" and use their character so as to be "respected." We loved them unconditionally and Rachel gave so much of herself, always caring, always listening and always committed to doing her very best. Patient, kind, hardworking, and loving are just some of the words I would use to describe Rachel. Rachel was the BEST assistant I ever had the privilege to work with. She led by example and we all learned valuable lessons by following her lead. It is with total confidence that I recommend Rachel as anyone having the opportunity to work with her would be lucky to have her services as a DC Mother’s Helper and luckier still to have her friendship." "It is a distinct pleasure for me to provide a reference for Rachel. I have had the pleasure of working with Rachel for the past two years. We worked together at a daycare facility. The program is geared towards low income families; it is a program that promotes school readiness by enhancing the social and cognitive development of children through the provision of educational, health, nutritional, social and other services to enrolled children and families. Rachel currently holds the floating position where she fills in for or assists teachers on a regular basis. While working in the classroom with me, Rachel has demonstrated outstanding ability to multitask and worked well with all age groups. She displayed a genuine care and respect for each of the students in the class. Rachel is bright, energetic, compassionate, and truly well rounded, she is willing to do any task and help out any colleague when in need. It is evident through Rachel’s work shows that she has excellent communication skills. In addition, she is extremely organized, reliable and computer literate. Rachel can work independently and is able to follow through to ensure that the job gets done. She is flexible and willing to work on any project that is assigned to her. Rachel is always quick to volunteer to assist in other areas of school, as well. I have high regards for Rachel and her love for children. I am most fortunate to have the opportunity to work with her. I enthusiastically recommend Rachel for employment. Her hard work and dedication would be an asset to your family."